Also, I should note that I know nothing about the Hebrew language, but I do know about my capabilities with re-creating foreign writing. 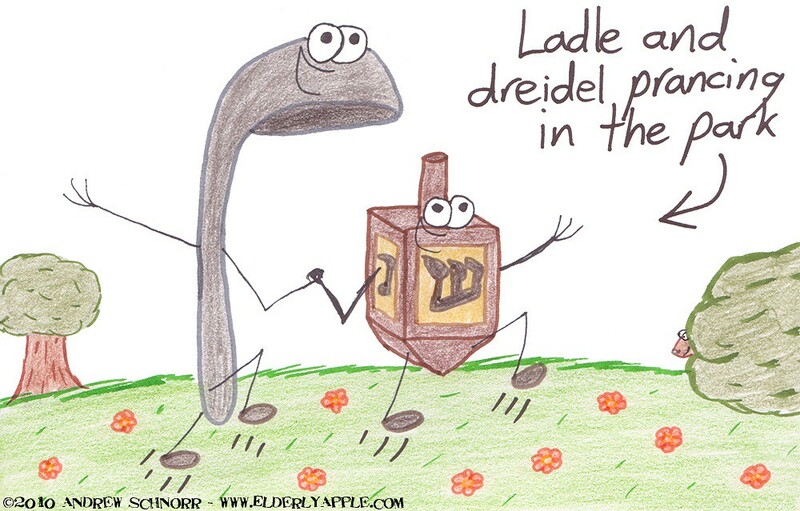 So let me just say, if those markings on the dreidel turn out to be incredibly offensive to somebody...my bad! dammit, chris, you stole my joke before i could even think of it!